Stats show that there are around 80,000 deaths due to excessive consumption of alcohol in the United States each year making it one of the leading lifestyle-related causes of death. For every death thirty years of potential life is lost. According to one statistic there were more than a million emergency room visits and three million physician office visits due to alcohol abuse which translates roughly to an economic cost of $223.5 billion. Alcoholism, as in every type of drug addiction, is a disease and it includes symptoms such as drinking uncontrollably, excess craving for alcohol, physical dependence and increasing tolerance towards alcohol. Alcohol abuse is when a person shows unsafe drinking habits like binge drinking. People that abuse alcohol do not necessarily have a dependence on alcohol but they drink in an unhealthy way. 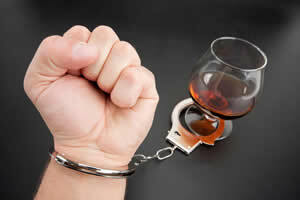 Why alcohol addiction is so dangerous? Alcohol damages the pancreas, kidneys, brain, liver, and the central nervous system. Especially long term drinking which causes negative side effects that are life threatening. However, in the case of alcoholics they continue to batter these vital organs many times a day and are at risk for different organ failure. Although alcohol will most likely not kill you from one instance of drinking, it definitely increases the risk for cancer and causes death if consumed in large amounts over a period of time. Feeling depressed, irritable, picking up quarrels and mood swings. 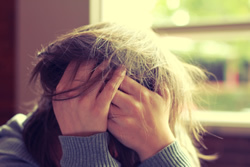 Physical symptoms of withdrawal are headache, sweating, nausea and vomiting, loss of appetite, insomnia, paleness, palpitations, trembling of the hands and psychological symptoms include anxiety, depression and irritability. 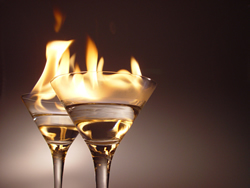 What is alcohol rehab and how does it work? Alcohol rehab provides alcoholics the environment and tools for successful recovery. Typically, a treatment program will last between one to two weeks and would continue for as long as the patient requires the treatment and support that is provided. Alcohol Detox Programs: These are often an inpatient program provided in a residential rehab center used to help the addict cope with cravings for alcohol. Residential treatment programs: These are either federally or privately funded and one should enroll as an inpatient and is required to remain till he /she is stable both medically and psychologically. Traditional Outpatient Programs: This is advised after a period of inpatient treatment. Therapeutic Community: This program addresses addiction from a mental health approach. If you or a loved one is in danger of alcoholism please let us help you. Contact our free helpline at (866) 531-4569 to get the help that you need.